Noaccordion is what happens you take a Classical pianist, Jazz vocalist, and Latin American percussionist combined with a love for Electronic Dance Music and 20 years of UK/US Festival Culture. 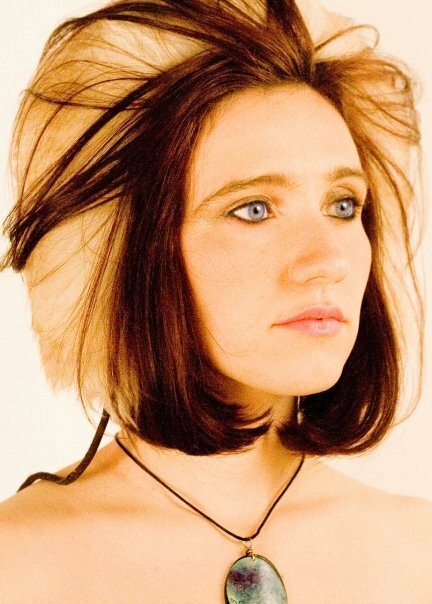 Noaccordion is the music produced by Onah Indigo(singer, songwriter and multi-instrumentalist) and her collaborators. Onah is a sonic and visual artist who has been based mainly in Italy, Britain and California. Noaccordion is a cross over project between acoustic and electronic instruments and features effected accordion, analog synthesizer, keys, electronic beats and bass, beat box, Latin American percussion, MC’s, trumpet and trippy female vocals. Noaccordion’s music has been described as “retro yet futuristic” and “full of hooks” that sounds as if Gogol Bordello, Gotan Project, Portishead and Nina Hagen all joined forces. Noaccordion represents the Divine Paradox(the precious duality we navigate during our lives) that sometimes manifests as Sacred Irreverence. Often we are told not to do something that can spark our interest and frequently drive us even more to act upon the things that we have been prohibited from doing. Why are there so many signs telling us what not to do? Why is the media obsessed with bad news? Aren’t bad and good just two opposite ends of a descriptive scale and the point where good begins and bad ends is constantly shifting? Noaccordion’s debut EP, entitled “Noaccordion” and described as if “the B52s meets Portishead”, was released in April 2010. Sean Ingoldsby(musician and sound engineer) co-produced the EP and hundreds of people attended the CD Release Party held in Ojai, California. A few months after the release party Onah moved to San Francisco to complete her Music and Architecture Degree at UC Berkeley and graduated in December 2011. Having lived most of her life in small towns, upon moving to the Bay Area she finally entered into a much larger and more vibrant music scene than she had ever experienced. Through local stellar jam sessions she met most of her new amazing musical collaborators who have helped add a whole new dimension to the Noaccordion sound. The second EP, entitled ”Almostallaccordion”, was produced in Oakland, California and released in April 2013. This EP, described as “gypsy electronica triphop”, takes Noaccordion’s sounds to another level as it blends electronic beats and bass with live Latin American percussion, tango with hip hop, punk with trip hop and gypsy with drum and bass. The second EP embraces new musical collaborators including Evan Fraser(master percussionist), Mastahlock(beat box), Taj Angelo(MC), Abai(electronic music producer), Chatter(MC), and Danny Cao(trumpet). As opposed to the debut EP that had one song with a dash of accordion, the second EP features the accordion on four out of six songs. Noaccordion was also featured on two compilation CDs last year: The single “Little Birdies” was released on the SG13 [Symbiosis Gathering Compilation CD Vol 1] and the single “Bella” was released on the Accordion Babes Pinup Calendar 2013 Compilation CD. Noaccordion is currently in the final stages of producing a third EP entitled “Community” that will be released in April 2014. This new EP embraces a “time traveler, tribal, triphop” vibe and features heavily effected vocals, peculiar harmonies, local MCs and many elements of Electronic Dance Music. Noaccordion’s main musical influences have been British Electronica, Chopin, Debussy, Satie, Jazz, Lamb, Massive Attack, Tricky, Cocteau Twins, Propellerheads, Portishead, Drum n Bass, Trip Hop, David Bowie, Pink Floyd, Tom Waits, B52’s, Bill Withers, X, Stevie Wonder, Thievery Corporation, Air, and Dan the Automator. Onah was classically trained on the piano from the age of 5 yrs old but she quit studying in high school when her teacher refused to let her play pop music. She took a break from the piano and began writing songs on the guitar. While living in Britain, during most on the Nineties, she was formally trained as a sound engineer and began producing her own Electronic Music. During this time she also studied Latin American Percussion and performed a few years with Jam Samba “10 piece Brazilian Percussion Group” and Tommy Rhumba “6 piece Cuban Percussion Group”. Upon her return to the States in 2000 she started her study of jazz piano/vocals, became comfortable with improvising and began writing songs for keys and voice. In 2009 she was given her first accordion and taught herself to play. After years of practice, personal work, meditation and study, Onah has finally accepted her unique voice and has relaxed into a vocal channel that ranges from deep soulful sounds, operatic highs, and gritty mids. Author onahPosted on 01/24/2014 01/24/2014 Categories Bio, Uncategorized, WrittenTags 2013, accordion babes pinup calendar, art, berkeley, BreakThrough, burning man, burning man special event, burningman, california, chatter, cloud nine berkeley, code, community, crossover project, cumbia, Deer Lodge, dog tricks, EDM, electronic dance music, electronic female music producer, electronica, female music producer, fire dance, gypsy, hip hop, history, italy, jazz, king porter stomp, lock, mastahlock, MC, Mop Dance, Music, music producer, no accordian, Noaccordian, Noaccordion CD Release Party, oakland, Ojai, Onah, Onah Indigo, reggae, san francisco, trip hop, women accordion playersLeave a comment on what is noaccordion?